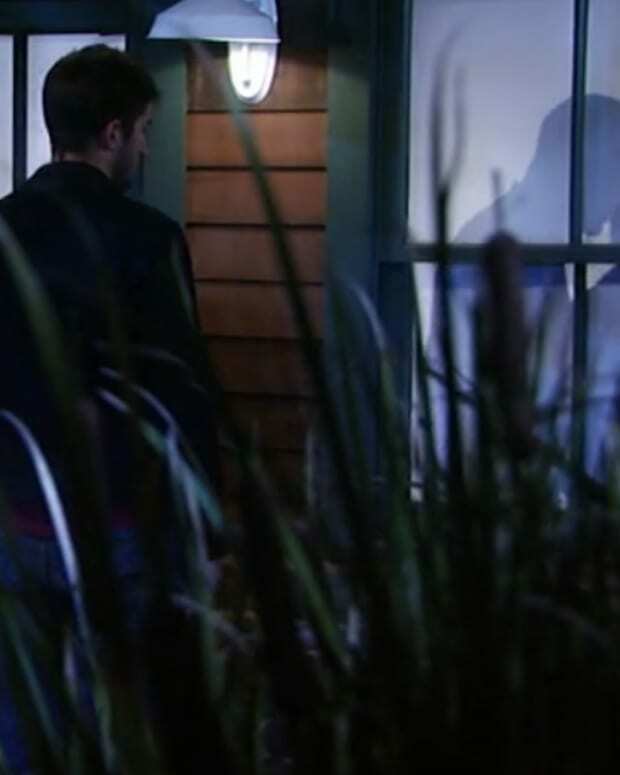 Michael and Alexis rush into the cabin and find Julian on the floor. Morgan tells them that they fought with the gun, which went off, and that Julian fell and hit his head. Michael tries to convince Morgan to let Julian go, but Morgan is determined to get his revenge. Michael tells him that Sonny doesn&apos;t want this and sent him to stop Morgan. Michael tells Morgan that Sonny will handle any retaliation. Morgan finally puts away the gun. Michael kicks Julian whiles he&apos;s down and warns him that they&apos;ll finish this war that Julian started. Sonny mistakes Jake for Jason and asks his help in finding Morgan. Liz assures Carly that it&apos;s simply the medication talking. Carly explains to Jake that it was Jason&apos;s job to protect the Corinthos family. Jake agrees to head out to look for the boys. Liz worries that he&apos;ll be hurt and says he doesn&apos;t owe Carly anything. Paul explains to Ava that he&apos;s Dillon&apos;s father, back to rebuild their relationship and has been building his power base back. Ava&apos;s not happy that she&apos;d be taking all the risks and wants to bring Julian on board. Paul disagrees. Ric stops by to see Molly, but finds TJ. 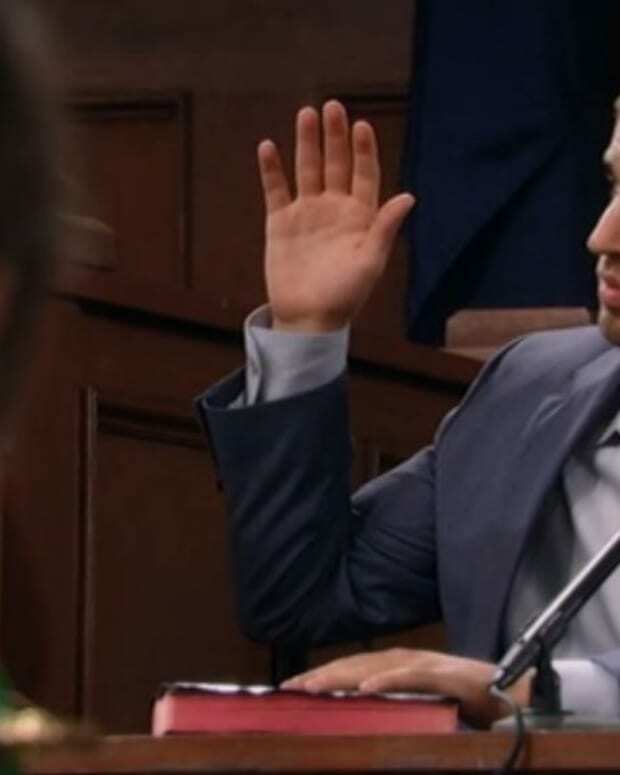 TJ continues to blame himself for Sonny getting shot. Ric puts the blame on Julian and feels that Julian is exploiting Alexis into protecting him. Ric gets a call from the mayor, who fires him as the district attorney. Paul says he can help Ava reclaim her daughter. He tells her that he&apos;s friends with Mayor Lomax and she just appointed him the new district attorney. Paul explains that he can work on taking Sonny down, from the inside. Ava offers him the five million dollars that she would have paid Scott. However, Paul isn&apos;t interested. Ava is forced to agree to work with him. Dillon wonders if he can trust his father. Maxie explains how Frisco is the same and she&apos;s had to come to accept him as he is. Paul returns and tells Dillon that he&apos;s sticking around, as the new DA. 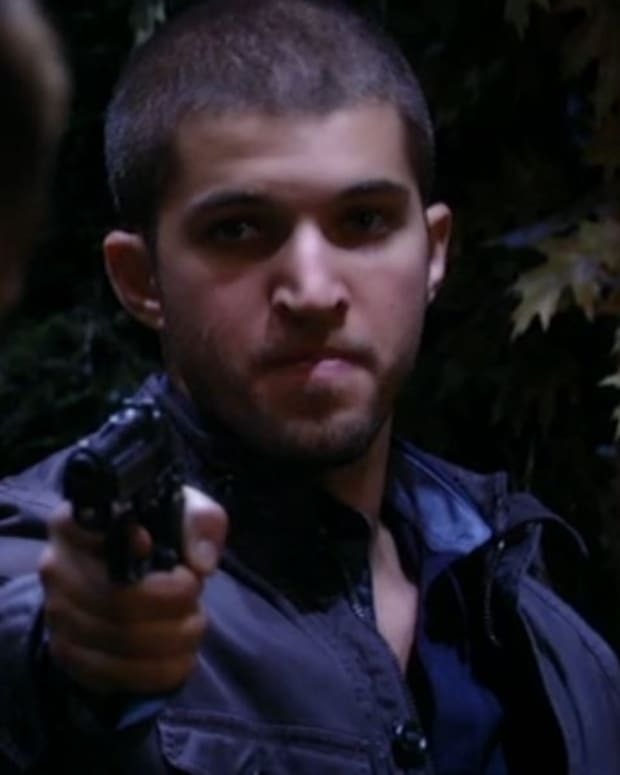 Julian decides he needs to find out who shot Sonny and is setting him up. Michael and Morgan return to the hospital. Morgan vows to his father that this isn&apos;t over. Perkie's Observations: Is Morgan Bipolar on GH?